Cameroon President Paul Biya on Monday, January 21, extended his condolences to Kenya and President Uhuru Kenyatta over the recent terrorist attack at 14 Riverside but his message was not received kindly by some citizens. “I extend my heartfelt condolences to President Uhuru Kenyatta over the terrorist attack at the Dusit D2 hotel and office complex in Nairobi. 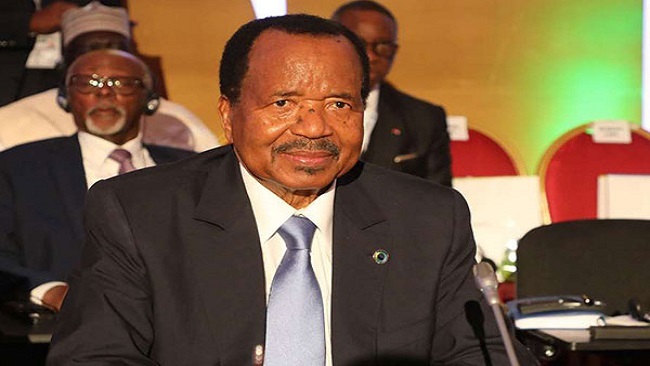 “I wish strength and fortitude to the victims’ families, loved ones and everyone affected, as well as health and speedy recovery to those injured,” read a post on Biya’s official Facebook page. One citizen reminded him that it has been almost a week since the incident at Dusit D2 and Kenyans have already gone back to work. Numvi Destain: Are you just hearing of it today? Even President Uhuru has already forgotten about it. Yao Son Ibrahim: Kényans have already forgotten the incident you are just reminding them.Too late!!! The attack at 14 Riverside claimed 21 lives but the number could have been higher were it not for the swift response by security personnel. On Monday, Interior CS Fred Matiang’i heaped praises on Douglas Kanja, the GSU Commandant who led the security operation with distinct diligence and professionalism. He further directed all National Government administrators to step up the “know your neighbour” campaigns and ensure coordination, information-sharing and joint security actions in their areas of jurisdiction to ensure the safety of all citizens.